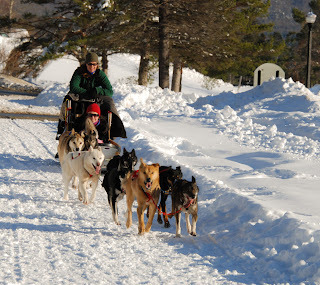 What fun to watch the dog sledding at various places in the White Mountains. Most of these dogs are from the Muddy Paws Kennel which serves several areas for sled rides. The dogs seem to really enjoy what they are doing, although I don't know how things work if one needs to stop for "personal reasons".